Have any of your marketing campaigns ever flopped? Big time? In business and in life, we’re taught that everyone makes mistakes. What we learn from our mistakes is what matters. Sadly, most organizations don’t work this way. Every one of us has failed at some point in our careers. Yet oftentimes the only thing your executive board wants to hear about is the successes. Understandably, management wants to run a tight ship. Growth begets budget, investment, headcount, and opportunities. But an organization that isn’t failing isn’t learning. I’ve worked in companies where marketing fails were a death sentence. It didn’t matter who you were or what your history was—if your project didn’t meet targets, it got held against you. Enough strikes and you were out. It made for a very tense workspace. We fell into a culture that stifled creativity and eschewed risk. We stuck to marketing’s “old reliables” even though they clearly didn’t work anymore, because who wanted to end up like Claire, who got axed for that failed viral campaign? That project was swept under the rug and never mentioned again. After all, dead men tell no tales. But what if your organization embraced failures and improved upon them? The most successful brands in the world didn’t get where they were because they had a perfect track record. They got there because they understood the advantages of failure—and now, so will you. When you fall flat on your face in public, what’s the normal human reaction? Hide your face and run? Pretend it never happened? When brands fail, the reaction is equally human: ignore the incident, downplay the failure, or shift the blame. Internally, executives run around demanding an explanation—or the heads of those responsible. But there’s another option: lean into failure. Take the case of Domino’s. In 2009, a coupon code for a free pizza promotion was accidentally released and spread all over the Internet. The company could’ve easily just flat-out blocked the code and denied all orders. Instead, Domino’s honored the code. The pizza chain eventually handed out 11,000 pizzas before calling it quits, earning the brand major kudos on social media. This conscious decision to honor a mistake was a bold move in the cut-throat fast food business. But it went a long way toward projecting positive brand presence. And when it comes to public failure, we humans (and marketers) always have another humbling option: to laugh at ourselves. Take the case of Reese’s infamous holiday campaign: the launch of Christmas-tree shaped candies which… broke the mold, so to speak. The next time your marketing plan goes off the rails, try playing it cool and encouraging your team to consider human (or humorous) solutions. Few plans are perfect from the get-go; particularly if you’re attempting something new. There will always be something you don’t account for, something you overlook. As marketers, we can get so caught up in the enthusiasm over an idea that we lose insight of how it will play in the real world. We can get so caught up in the energy of the moment (or more likely, the stress of the deadline) that things get missed. Take the example of Windward Studios. They had a great idea for experimental, guerrilla-style marketing campaign: take a power washer and a stencil and use them to spray a URL and graphic image all over the city streets. It was like paint, except they’d be stripping the grime off the roads and sidewalks in the shape of their brand. People who saw this stencil would go to the URL, where they would watch a commissioned video created by a YouTube celebrity duo. It was new! It was fresh! And above all, it was cheap. But they didn’t account for the fact that power washers are noisy, and doing it in the wee hours of the morning quickly got them in trouble with both residents and hotel owners. Neither did they realize that San Francisco’s streets were already pretty clean to begin with, so the power washing didn’t do much. The sidewalks were also made in a darker color than normal. The stencil was barely noticeable. Out of the thousands of projected website visitors, Windward Studios attracted six. Not sixty or sixteen. The campaign was an utter failure as a brand-building exercise. But it was a top-notch learning experience. In the future, the team would learn to take environmental factors into account in any experimental campaigns. There is also the need to test ideas on a small scale before fully committing to an idea—something that applies to all of us. Small mistakes, while painful, are at least somewhat tolerable. It’s much easier to shrug it off and move on. But what happens when you suffer a marketing failure so epic that it nearly brings the company to its knees? Nationwide PR debacles, massive consumer backlash, or—even worse—complete and utter apathy towards your brand. What good could possibly come out from such a catastrophic situation? 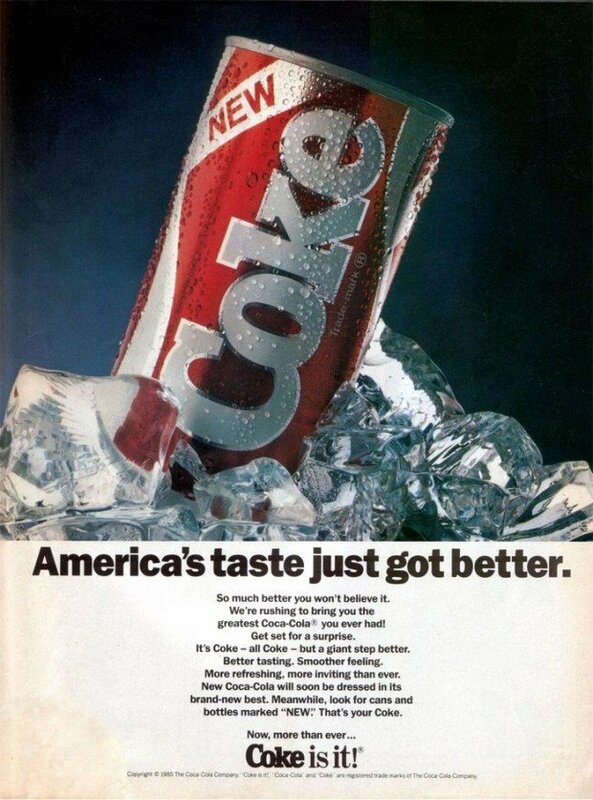 The Coca-Cola company knows this all too well, thanks to their botched attempt to launch New Coke in 1985. New Coke was intended to be their answer to Pepsi, which was gaining market advantage and was shown to be more popular in focus groups. But in launching the new product, Coca-Cola unintentionally became disconnected from the brand values that had made it so popular: friendship, nostalgia, and authenticity. If anything, this incident proved the power that brand has over buying decisions. Despite blind taste tests that definitively proved that people preferred the taste of New Coke over the regular formula, consumers revolted at the prospect of moving away from their beloved Coke brand. It was a disaster in every sense of the word. Product sales, though initially positive, tanked. New Coke became synonymous with brand failure, and the mere mention of the product elicited negative reactions from marketers and customers alike. The debacle forced Coca-Cola to take a step back and thoroughly reassess their approach. Why had the launch hit a wall, and what could they do to win back consumer trust? After some deliberation, Coca-Cola decided to go back to basics. They reintroduced the old formula as Coca-Cola Classic, capitalizing on the very same nostalgia that caused New Coke to fail. Sales of the classic product spiked, and the return attracted major news coverage. 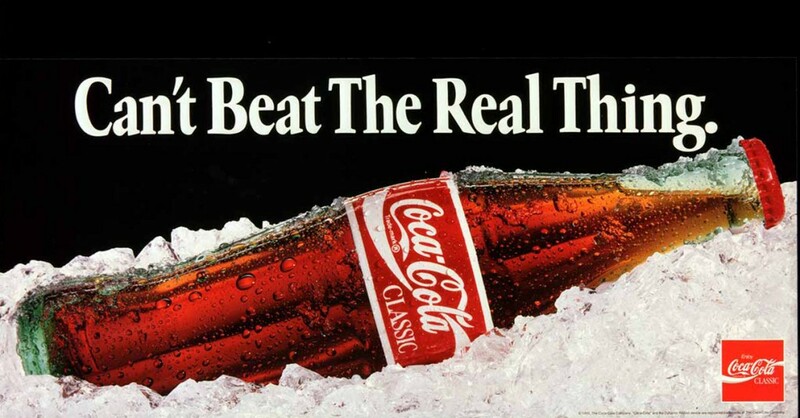 So while your brand might not have the powerful nostalgia and vast marketing budget that Coca-Cola does, the same lessons certainly do apply. When your brand encounters foul weather so hard it could sink your ship, take stock. Do a no-nonsense examination of what had led up to this moment, and what your next steps should be. Whether you are going to change direction or stay the course, make sure you go into it with both eyes open. The worst thing you can do for your company as CMO is promote stagnation. Marketers should always be pushing, always be trying new things. After all, the digital world we live in is always in flux. There will be many failures along the way, but that’s the price you pay for progress and pushing past the edge of the map. A ship is safe in the harbor, but that’s not what it’s built for.